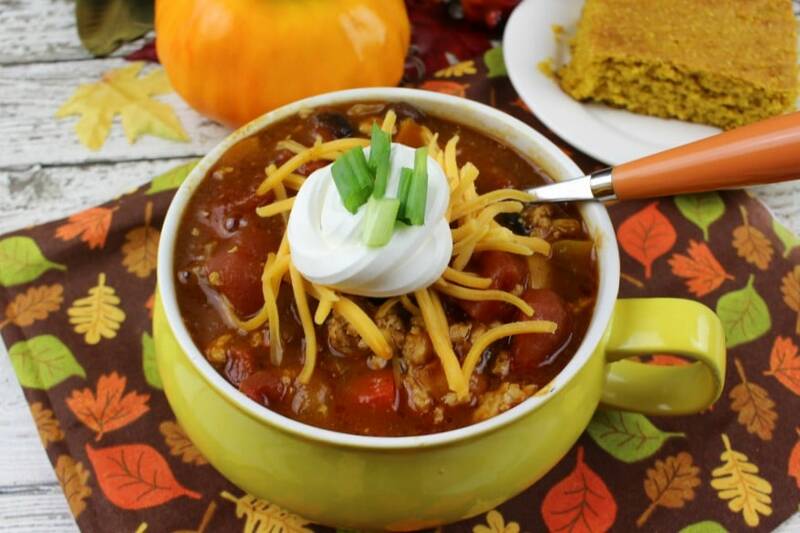 This Crockpot Sweet Pumpkin Chili isn't your typical chili recipe. 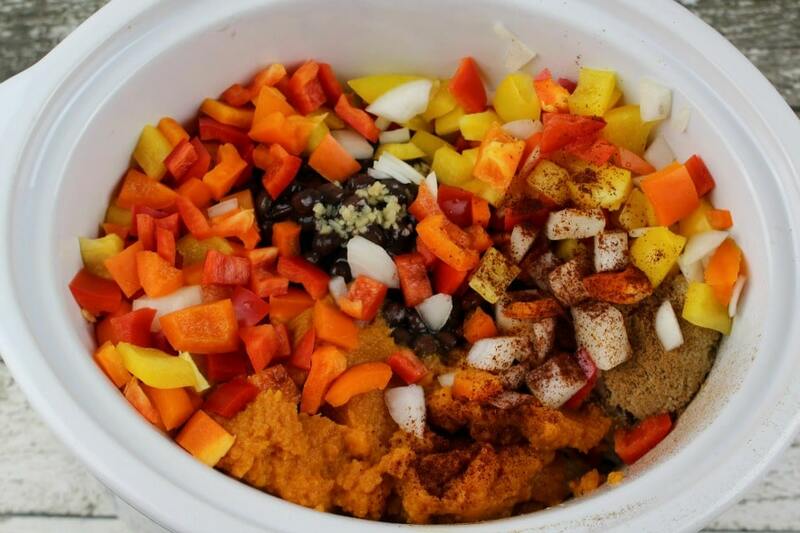 Toss the ingredients in a crockpot and let it cook while you work or enjoy the beautiful fall weather. Pumpkin puree and brown sugar add a sweetness you will enjoy with every bowl. There are few things better than coming in from a day of raking leaves and enjoying a hot bowl of chili. It's also the perfect meal to enjoy with friends while you gather around your living room and cheer on your favorite football team. Just toss your favorite chili ingredients into your crockpot and you're set until dinner. 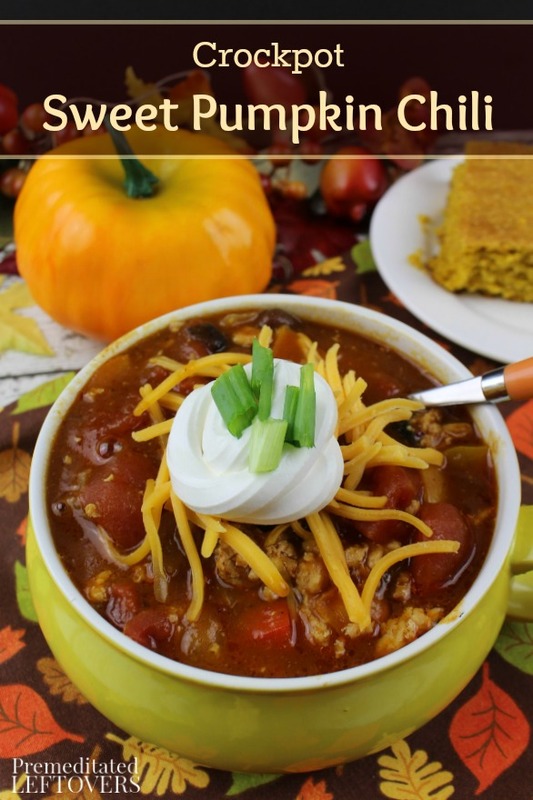 This delicious Crockpot Sweet Pumpkin Chili steers from a traditional chili recipe made with beef and a variety of beans. It uses ground turkey for a lighter option along with pumpkin puree, pumpkin pie spice, and brown sugar. These ingredients add a sweeter flavor to compliment the beans, tomatoes, and peppers. If you like to mix things up a bit when it comes to chili ingredients, you'll want to give this easy recipe a try! Alea's note: This recipe calls for the meat to be browned. If you have this CrockPot with Stovetop Browning or another slow cooker that allows you to brown meat in the pot,you can cook this chili in one dish and reduce the number of pots you have to wash.
1. In a skillet over medium heat, add the ground turkey and chopped onion. Cook until the ground turkey is no longer pink and the onion is translucent. Drain the fat and place in your slow cooker. 2. Add the rest of the ingredients and stir well with a rubber spatula. Cover. 3. Turn the crock pot setting to low and let cook for 5-6 hours. 4.Garnish with shredded cheese, sour cream and scallions. Serve with cornbread or oyster crackers. 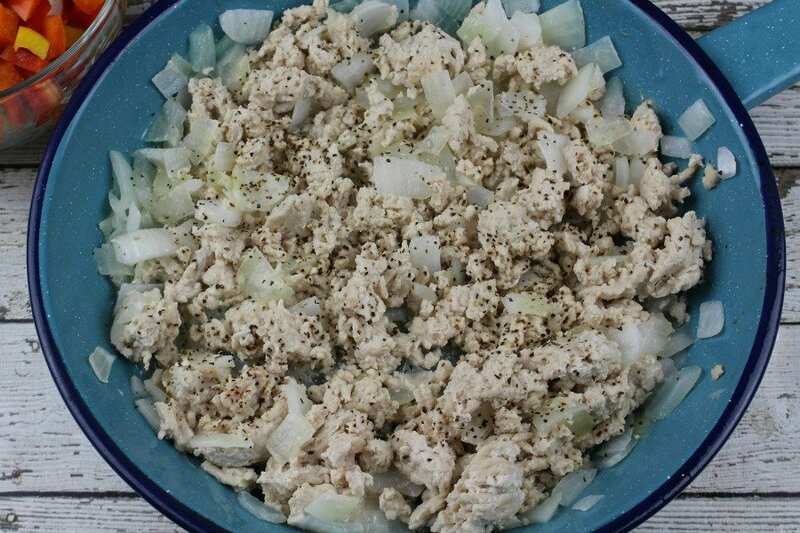 In a skillet over medium heat, add the ground turkey and chopped onion. Cook until the ground turkey is no longer pink and the onion is translucent. Drain the fat and place in your crockpot. Add the rest of the ingredients and stir well with a rubber spatula. Cover. Turn the crock pot setting to low and let cook for 5-6 hours. Garnish with shredded cheese, sour cream and scallions. Serve with cornbread or oyster crackers. Thanks to Melissa from Sippy Cup Mom for the chili recipe and photos. How very interesting! I’ll have to give it a try! Pinning. Thank you for sharing! It’s always nice to have a unique chili recipe. Going beyond beans and ground beef makes things interesting! I love all things chili, in fact the other day I was telling my husband I need to devote and entire page on my blog to chili! 😀 Your recipe looks delicious, hearty and filling – can’t wait to give it a try! I’ll be featuring it this week on #FoodieFriDIY – please come back and share again! It may not really make a difference, but as far as the canola oil, is it used in browning the meat, or is it added to the crockpot with the rest of the ingredients? I have made this chili multiple times. In fact, it is the only recipe I use now. I make one slight adjustment to the ingredients. We are vegetarians, so in place of the ground turkey, I use soy chorizo. I’ve added a chopped jalapeno on occasion, too. I love the sweet and spicy flavors. Thank you so much for this delicious chili recipe.